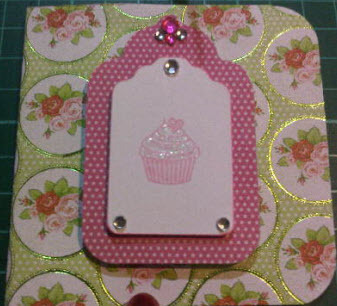 I am currently obsessed with a cupcake stamp that came in a Paper Tray Ink set (ed: I love cupcakes themselves - celebrating them in card form is far less fattening than eating them!). The cupcake is cute, and in this case, girlie. 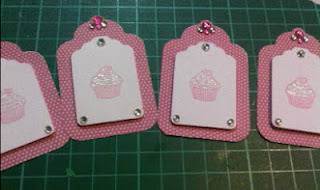 I don't make a lot of 'girlie' cards, but I am loving pink at the mo.